What do you get when you combine our Toxic Run Obstacle Course with the Toxic Rush? You get the MEGA TOXIC Run Obstacle Course! 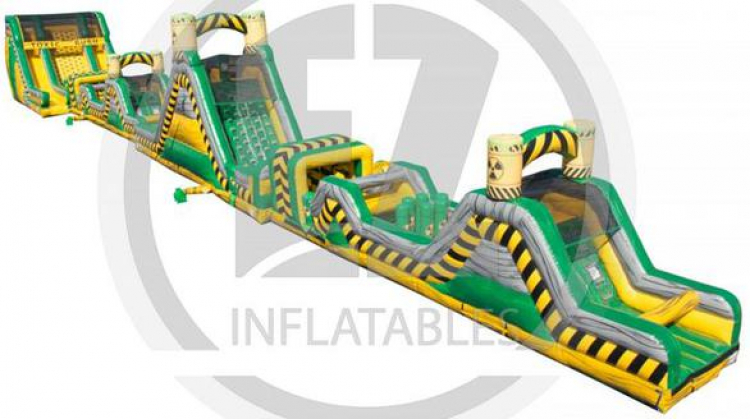 Over 156ft long and 22ft tall, you will not find a bigger obstacle course to rent in the state! Mega Toxic Run is the ultimate challenge where you race your opponent thru tunnels, pop ups, crawl thrus, & finally up the large rock climbing wall and down the huge slides! 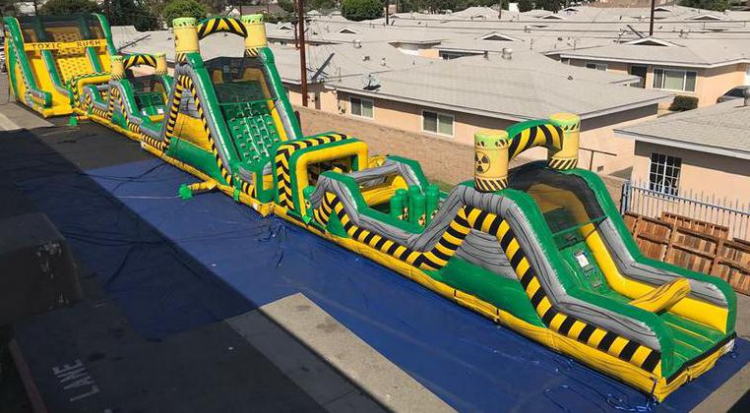 You will be exhausted as you have FOUR climb and slides in this obstacle course! Price: $895.00 per 5 / hrs.